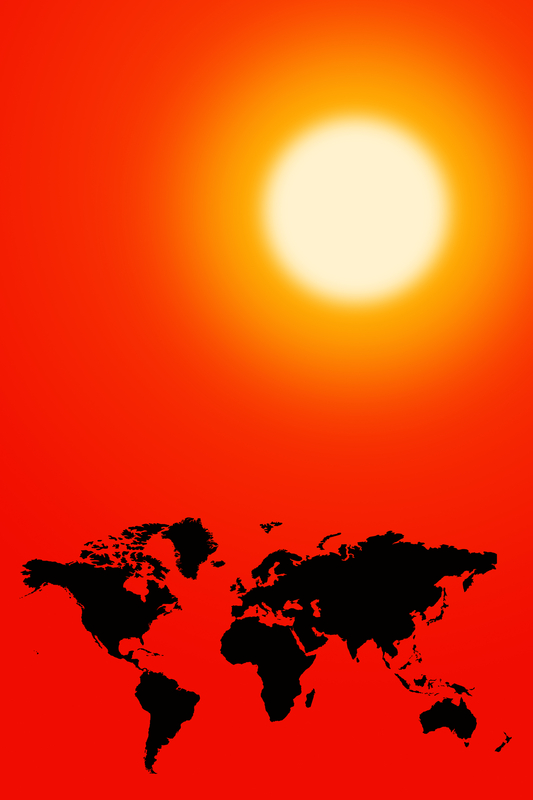 The map of the continents beneath this blazing sun points out how the sun reaches every corner of the earth. As methane and CO2 increase, sunlight will diminish, as it has since the 1950s. Light can’t be explained, but through its energy, we see and feel kinship with life. Longhouse people of Turtle Island call the sun “Our Elder Brother” who rises and walks on a slightly different path above us every day. Sunlight makes possible vision and sensual experience. The sun soothes, warms, and if it’s hot, makes us sweat, cooling us down. We imagine the sun as bringing consciousness, happiness, security, and pleasure.